Design and Operate a Referral System - a guide to the referral generation system parts that must go into your design. 5 Sure Ways to Get More Referrals - foundational approaches that can help you keep referral top of mind. 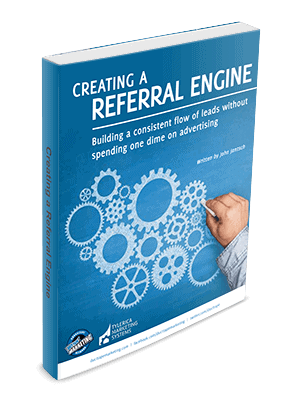 The Art of Referral Conversion - the elements of the referral system that you must put in place in order to convert more referrals to customers.